It looks like the Wii U may not be the only new console yearning for your touch next year. There may not be a new Xbox showing up in 2012, but that doesn't mean it's not on its way sooner or later, with many reports now projecting a late 2013 launch. Between now and whenever "then" actually is, Microsoft will be hard at work assembling the machine that will one day become the 360's successor. As part of this process, multiple developers are usually given prototypes with which to play, and inevitably, details leak. 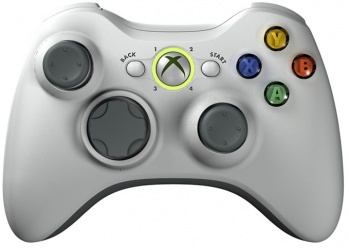 Of course, that doesn't mean all rumors are true, but this latest one seems like a distinct possibility: The new Xbox will have tablet/analog hybrid controllers. "Microsoft are experimenting with a tablet-like controller with a shape closer to Sony's sleek Vita handheld / Apple's iPad than Wii U's bulky unit," reads a report from Xbox World Magazine, "it's an HD screen surrounded by the traditional 360 buttons and sticks." This newest report comes as a follow up (presumably from the same anonymous sources) to the idea that the next Xbox will act as a media center, centralizing people's movies, TV, and gaming experiences into one tight bundle. Keeping with that premise, this new tablet controller would hypothetically adapt to your experience, morphing into a remote for your television when you want to watch Doctor Who and then to a browser when you want to kick back and read the latest installment of Critical Miss. While it's easy for most gamers to be immediately suspicious and/or skeptical about any control method other than a standard hunk of plastic littered with analog buttons (and I'm generally one of them, by the way), this could actually be decently great if done correctly. Regardless, for now we're still squarely in rumor-land, and we can probably expect to see even more of them before getting any real answers at this year's E3 in June, when Microsoft is expected to show us the goods. Maybe.